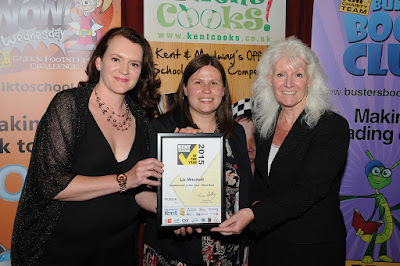 Yes, that is Liz Mitchell, our lovely headteacher at Seal Primary School on the left in the picture above. 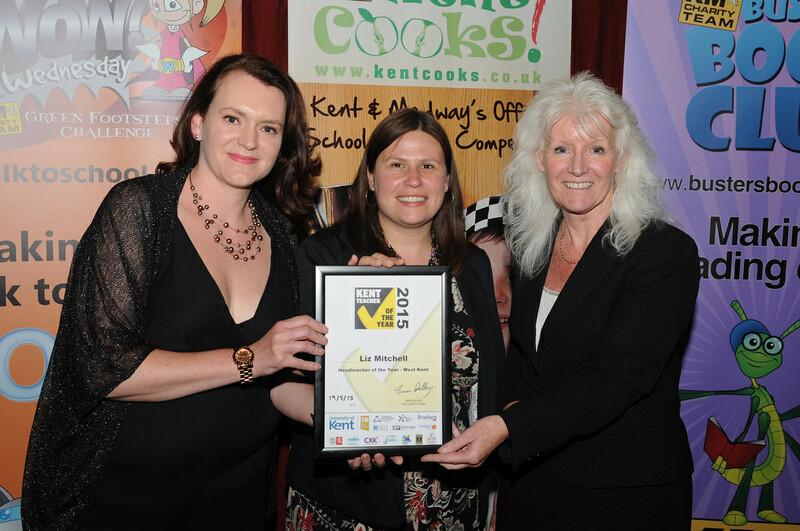 She has been named Kent Messenger's Headteacher of the Year for West Kent, and is seen here receiving her award at a ceremony last week. Many congratulations, Liz, on this well-deserved affirmation. We all know you are a headteacher in a million, but it is good to see that others have recognised this too! We are planning to take a group by train to the Alban Pilgrimage in St Albans on Saturday June 20 this year. Why? Firstly because it will be a grand day out! Secondly, because St Alban was the very first Christian martyr on British soil. He gave his own life to protect a Christian priest called Amphibalus , through whom Alban had been converted to Christianity. His story reminds us of the courage and strength so many Christians both in the past and today show, and perhaps challenge us to think about our own commitment too. The anniversary of Alban's death is marked in St Albans every year with a wonderfully colourful procession, and a service of Holy Communion in the Cathedral. This year the Archbishop of Canterbury, Justin Welby, will be the preacher at this. There is a parallel service for children at the same time, (children under 6 aren't admitted to the service in the cathedral ) and other services and activities during the afternoon. There will also be stalls in the Cathedral grounds, this year from St Alban's linked Diocese in the Caribbean. The day will finish with Evensong at which the Archbishop of Rouen will preach. We'll be travelling by train, gathering at Sevenoaks train station at 8.30. People are welcome to return by train whenever they want to, so there's no need to stay for everything. For this reason we are asking people to buy their own train tickets, rather than trying to book as a group, so that people can travel by themselves if they want to. The cost for a return ticket is £16.50 with discounts for railcard holders. We do need you to sign up to say that you are coming, so that we can book some places for the service and the children's activities, so please let me or Stephen Bloxham know that you want to go as soon as possible (you can sign the list on the Red Table at the back of church). If you'd like to get a flavour of the event, there is a video below from last year's pilgrimage, and you can find out more here. Sermons from St Peter & St Paul, Seal, Kent: Easter 6: I have called you friends. From July, we will be moving the date of Newspoint back by a week, to the 7th of each month. I know you all wait with baited breath for it to come out, but you'll have an extra week to wait. 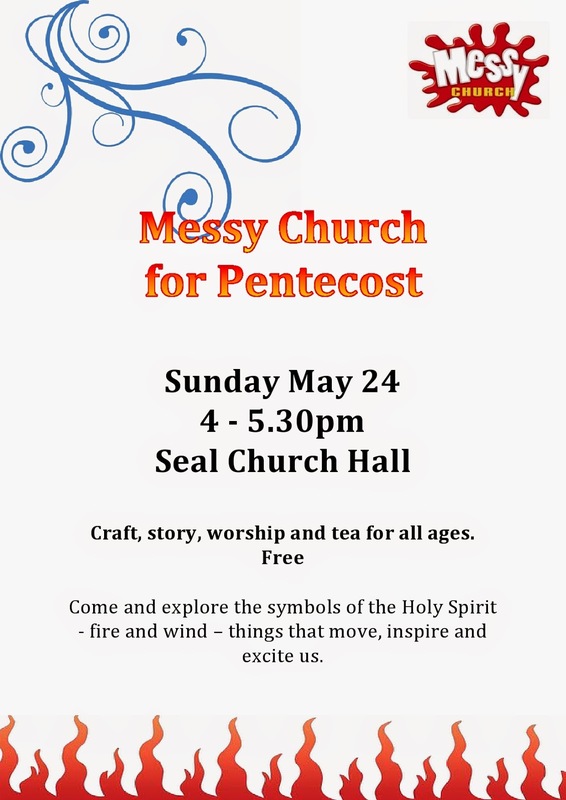 The reason for the move is to tie in with news from Churches Together in England. Respond to the Nepal earthquake Disaster through Christian Aid. Click on this link to donate. Maybe consider acting together as the churches in your area. Christian Aid week is coming up: 10th -16th May. There is still time to order resources for your event. contact the Kent rep for Christian Aid, David Muir or go straight to the resources website. With climate change slipping down the political agenda in this country, the Act Now for Climate Justice campaign was launched at the Ecumenical Centre in Geneva, Switzerland on 22nd April. The campaign involves churches, religious organizations and civil society around the world in raising awareness of climate change effects, especially in their effects on the most poor and vulnerable people. "The Gathering" is a festival of faith, hosted at Canterbury Cathedral. ON Friday 15th May, join the Archbishop of Canterbury to explore the theology of cooking. On Saturday 16th, delve deep with indepth bible teaching, creative crafts, drama and music. Or you can pause and share in healing with the Living Well or walk the Labyrinth. All details here. Managing Youth and Children's Workers. If you're like me, as a local minister, this wasn't covered in theological college but many end up in a management role. A 'how to' training day is put on by KEYCOG, the youth specialists of the churches involved in Churches Together in Kent.The training is on Tuesday 2nd June, 10am-4pm, at Larkfield Methodist Church. The cost is £30 including lunch and training materials. For more info contact Sarah Cabella at sarah.cabella@rochester.anglican.org. 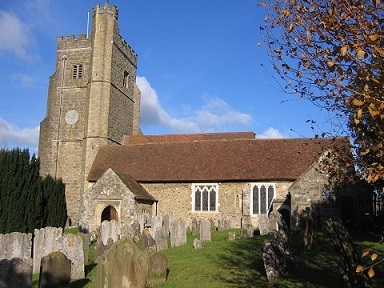 The Searchlight theatre company with Adrian Plass are performing “Adrian Plass and the Church Weekend” on Friday 5th of June at All Saints’ Loose 7:15pm. Contact Ben for more info and for tickets. The world is my neighbour: Some ecumenical reflections. Last month I mentioned that Bishop Brian Castle is joining the county's ecumenical officers for lunch and then leading us in a seminar, sharing his reflections on ecumenism. Just let me know if you'd like to attend so we can get in enough lunch (all free). Thursday 9th July, 12noon - 2pm, Salvation Army Divisional Headquarters. Enterprise Road Maidstone. Please put this date in your diary. March 5th 2016 is the AGM of Churches Together in Kent. It is more than just a business meeting. It is the one time where we express our life together across the county. it is the gathering of the Denominational Leaders, the Chaplaincy and Church Planting groups, the Local Churches Together groups and single congregation LEPs, the media & youth work. 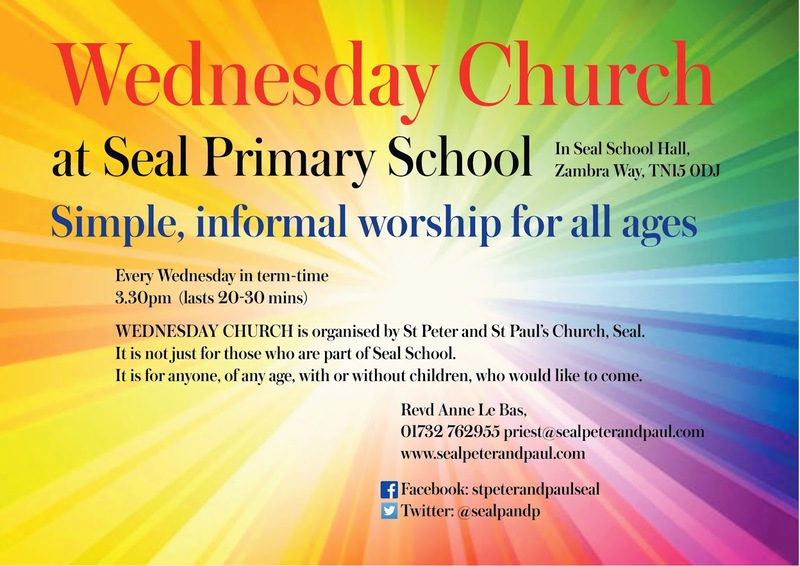 Please do join us if you can. More details to follow, but for now just put the date in your diaries. Many thanks. The denominational leaders would be delighted to come and speak at Local Churches Together events. If you have a date in mind, contact Chris, the County Ecumenical Officer, who will find one of the leaders to speak. Do send me information about what your Local Churches Together Groups are doing over the summer. A celebration in the local park? A walking pilgrimage? Pictures would be great.